Clara Shepard Luper (May 3, 1923 – June 8, 2011) was a civic leader, retired schoolteacher, and a pioneering leader in the American Civil Rights Movement. She is best known for her leadership role in the 1958 Oklahoma City Sit-in Movement, as she, her young son and daughter, and numerous young members of the NAACP Youth Council successfully conducted nonviolent sit-in protests of downtown drugstore lunch-counters which overturned their policies of segregation. The Clara Luper Corridor is a streetscape and civic beautification project from the Oklahoma Capitol area east to northeast Oklahoma City and was announced by Governor Brad Henry. Luper continued desegregating hundreds of establishments in Oklahoma, and was active on the national level during the 1960s movements. Clara Shepard Luper was born in 1923 in rural Okfuskee County, Oklahoma. Her father, Ezell Shepard, was a World War I veteran and laborer. Her mother, Isabell Shepard, worked as a laundress. Young Clara was raised in Hoffman, Oklahoma. She went to high school in the all-black town of Grayson, Oklahoma, and attended college at Langston University where, in 1944, she received a B.A. in mathematics with a minor in history. In 1950, Luper was one of the group of black students who integrated the University of Oklahoma. She received an M.A. in History Education from the university in 1951. In 1957, as Luper worked as a history teacher at Dunjee High School east of Oklahoma City, she became the advisor for the Oklahoma City NAACP Youth Council. At this time she was deeply influenced by the success of Martin Luther King, Jr and the Montgomery Bus Boycott. With the Youth Council, she wrote and staged a play entitled Brother President about King’s philosophy of nonviolence. In 1958, she was invited to bring the Oklahoma City Youth Council to perform Brother President for the NAACP in New York City. The trip to and from New York was a formative experience for Youth Council members. On their return to Oklahoma the Youth Council voted to initiate a campaign of non-violent civil disobedience to end segregation in Oklahoma City. From 1958 to 1964 Luper mentored the members of the NAACP Youth Council during its campaign to end the segregation of public accommodations through sit-ins, protests, and boycotts. On Tuesday afternoon, August 19, 1958, Luper and a group of Youth Council members entered the segregated Katz drugstore in downtown Oklahoma City. They took seats, and asked to be served. Two days later, Katz corporate management in Kansas City desegregated its lunch counters in three states. 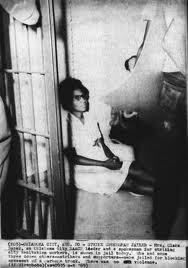 This successful August, 1958 sit-in led by Luper, her eight-year old daughter who suggested the action, and the rest of the children in the NAACP Youth Council, at the Katz Drug Store occurred a year and a half before the February 1, 1960 Greensboro, North Carolina sit-ins. 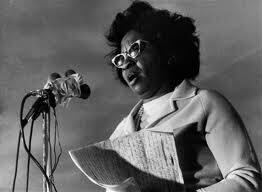 From 1958 to 1964 Clara Luper was a major leader of the fight to end segregation in Oklahoma. She led the campaigns to gain equal banking rights, employment opportunities, open housing, and voting rights. Along with the NAACP Youth Council, she personally integrated hundreds of restaurants, cafes, theaters, hotels, and churches, including such notable Oklahoma City establishments as the Split-T drive-in and the Skirvin Hotel. She served on Governor J. Howard Edmondson’s Committee on Human Relations. Luper was a prominent figure in the national civil rights movement. She was active in the NAACP, and attended the association’s annual conference every year with the Oklahoma City Youth Council. She took part in the 1963 March on Washington where Dr. King gave his “I Have a Dream” speech. She also took part in the 1965 Selma to Montgomery marches where she received a deep cut in her leg on "Bloody Sunday" when 600 civil rights marchers were attacked by state and local police with tear gas and billy clubs. 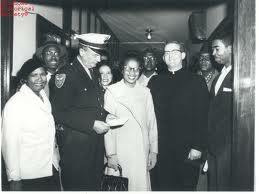 After 1964 Luper remained an important community figure as an activist, educator, and stalwart NAACP supporter. In these years, she expanded the range of her concerns to include advocacy for educational, economic, and political equality. In 1968, she was one of a handful of African American teachers hired to teach at Oklahoma City's Northwest Classen High School as part of the highly controversial court ordered school desegregation plan implemented that year. She was later reassigned to John Marshall High School (Oklahoma) where she continued to teach history and media studies. The Clara Luper Corridor, a multi-million dollar two mile streetscape project connecting the Oklahoma State Capitol complex with the historically African-American area of Northeast Oklahoma City, began construction in 2005. It was named to commemorate her civil rights legacy. Luper has received hundreds of awards, and is an inductee in the Oklahoma Hall of Fame, the Oklahoma Women's Hall of Fame, and the Oklahoma Afro-American Hall of Fame, among others. 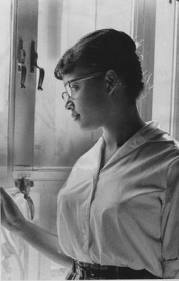 The Clara Luper Scholarship, a full scholarship given by Oklahoma City University, has been awarded to 30-45 students every year. The scholarship was geared towards students who were minorities, came from underserved high schools, or came from households with lower income. Clara Luper’s book Behold The Walls (1979) is an acclaimed first-hand account of the campaign for civil rights in Oklahoma City during the 1960s.